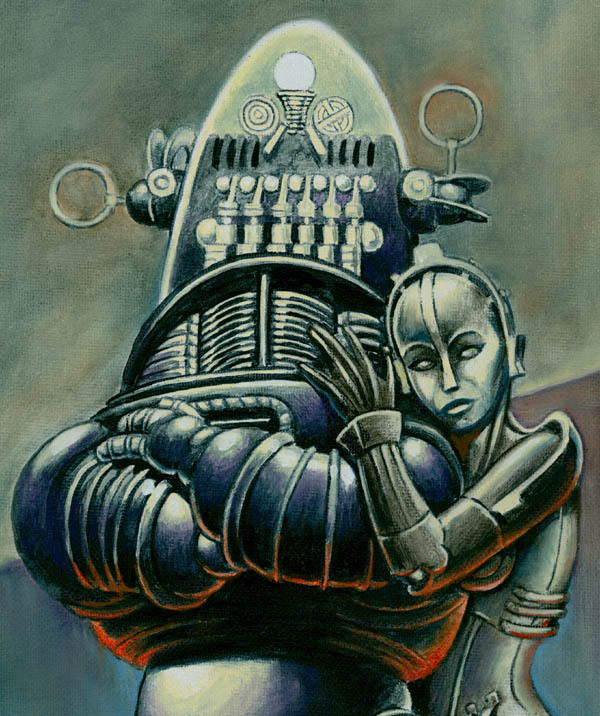 ROBBY AND ULTIMA painting by artist, Don Marquez. This oil painting is on canvas board, and measures 16 X 20, done in 2007. 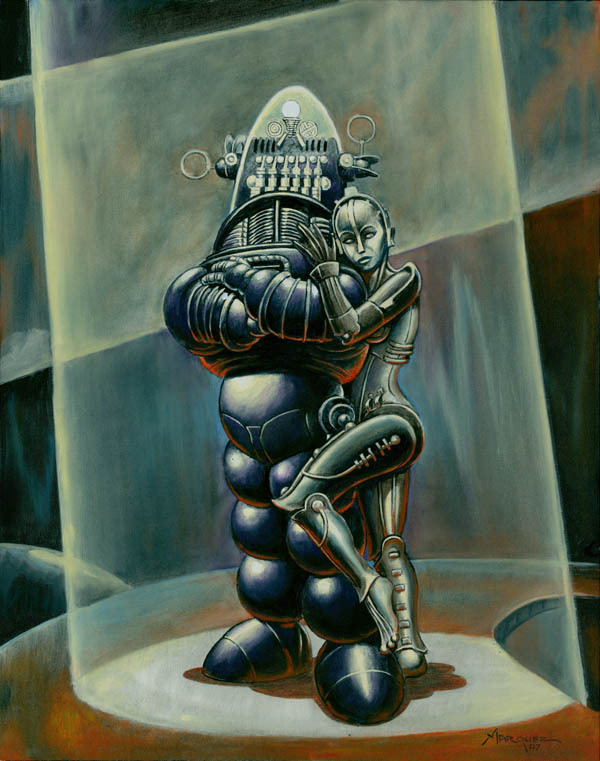 Here is Robby the Robot and his main squeeze, Ultima Futura, hanging out at some time in the future after the rise of the machines. This is an original work of art, it is not a print or reproduction of any kind.